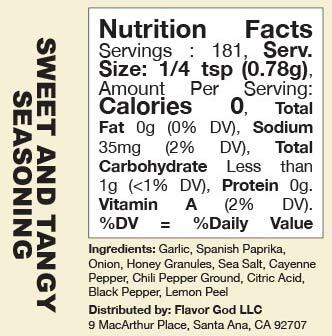 The NEWEST SEASONING is tangy from lemon zest, mildly sweet from honey and perfectly balanced with chilis to create a spicy tangy seasoning. 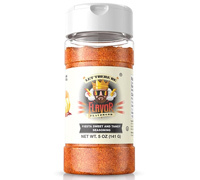 Flavorgod Sweet & Tangy will enhance the flavor of fruits, vegetables, and all of your snacks. It's also great on all proteins whether grilled or baked! Endless possibilities for summer: fruits, melons and of course in beverages such as the micheladas (a beer cocktail).